MOTU has just announced the new Thunderbolt Interface Line 1248, 8M and 16A. Including a 16ch Interface (I really enjoy and see more 16ch analog input interfaces coming and hope for 24in/8out interfaces from Motu and RME – still for USB3 and TB)..
here we go – looks like the 16A is my favorite one since it is still a more rare fact to get 16 or more analog inputs – I will buy one when the first 24ins come since I am still on MP with no TB interface. 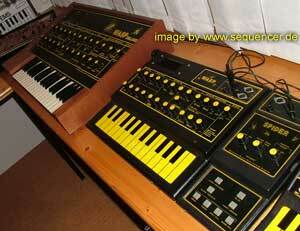 but having one unit for all synths and stuff is totally tempting. well, it’s all line inputs, there should be at least 2 mic inputs with XLR on the front as well – but well I still don’t count adar a/d connections since I am running 2 adat interfaces on my RME FW800 already ..
buuut – I am sure you do not care too much about my stuff – this is a good news for mac users since FW sooner or later isn’t the only one and must not be most expensive. hope so. Endlich sind auch Thunderbolt Interfaces von Motu erhältlich, die auch mal 16 analoge Eingänge haben – das ist löblich und wird hoffentlich mal auf 24 erweitert, denn genau das halte ich für das Optimum – einfach anschließen und die meisten Synthnutzer, Studioleute und so weiter hätten iher nettes kleines Pult der Jetztzeit – nicht weniger und nicht mehr, sicher braucht man keine 24 Ausgänge – außer man kann via Volta / Expert Sleepers und Co damit Analogsynths steuern da MOTU bisher genug Spannung erlaubt um das zu tun, dann sagt man da sicher nicht nein.